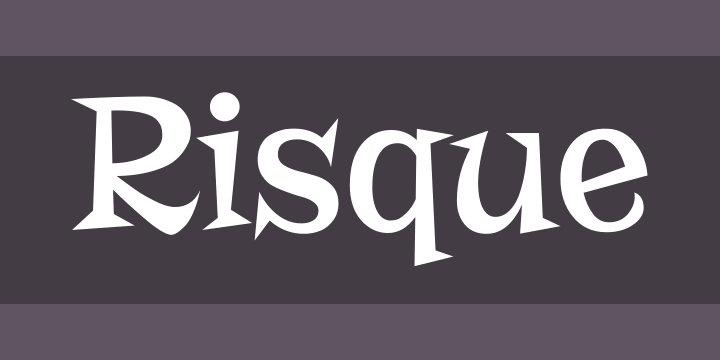 Risque finds its inspiration from the title screen of the 1962 Looney Toons cartoon called “Martian through Georgia”. Originally an all Capitals reference, it has been created with a lowercase as lively as the irregular latin-esque Capitals. A frolicking fun typeface for retro and all-around offbeat occasions.